February was an okay reading month. Only one of the books I read was one that I truly enjoyed. Also, this is one of those months where the physical books I read slowed me down so much that audiobooks saved the day! As always, click on the titles for my Goodreads reviews. Chronicles of Avonlea, by L.M. Montgomery. (Audiobook.) This was pretty cute. None of the stories stood out particularly to me, but they all have that cozy L.M. Montgomery feel. Some of the characters sounded familiar from the Anne series, and Anne herself even makes a couple of appearances. Ethan Frome, by Edith Wharton. (Audiobook, not pictured.) My first Edith Wharton book. It was okay! It reminded me of The Great Gatsby in that it's short, has a tragic ending, and involves marital infidelity, which is not a subject I enjoy reading about but it still features sympathetic characters and nice writing. One of those train wreck sort of books. Names for the Sea, by Sarah Moss. I thought I would love this because it's a travel memoir about Iceland! Sadly it wasn't what I expected, though I did still enjoy it for the most part. It took me way too long to finish. She mostly focused on the city aspect of Icelandic living, which I'm not that interested in. I did learn a lot though. 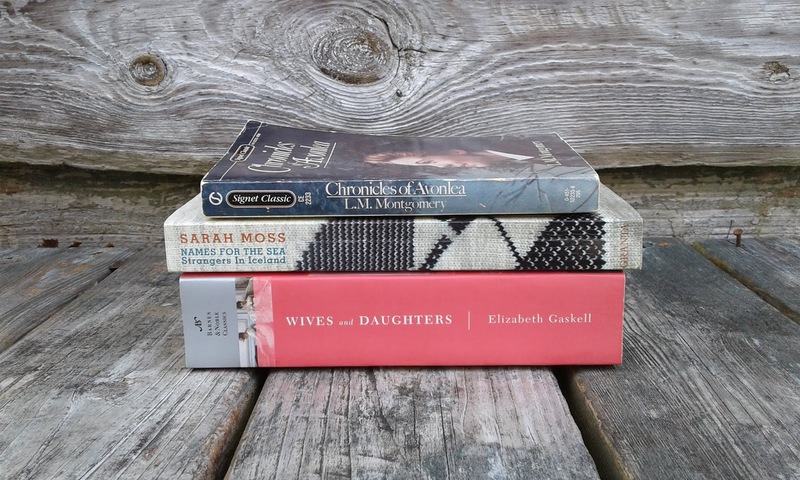 Wives and Daughters, by Elizabeth Gaskell. (Audiobook.) This was by far the best book of the month! The 27 hour audiobook was very intimidating (though obviously not as intimidating as the physical book or I would have already read it, ha). But I got sucked in and surprisingly never got bored with its extreme detail of the everyday lives of fictional families living in the English countryside. :) I was familiar with the main plot thanks to the BBC mini series, but the book itself was much better than I expected! I seem to have accidentally deleted the picture, but I also made a hat for my father-in-law that you can see here. 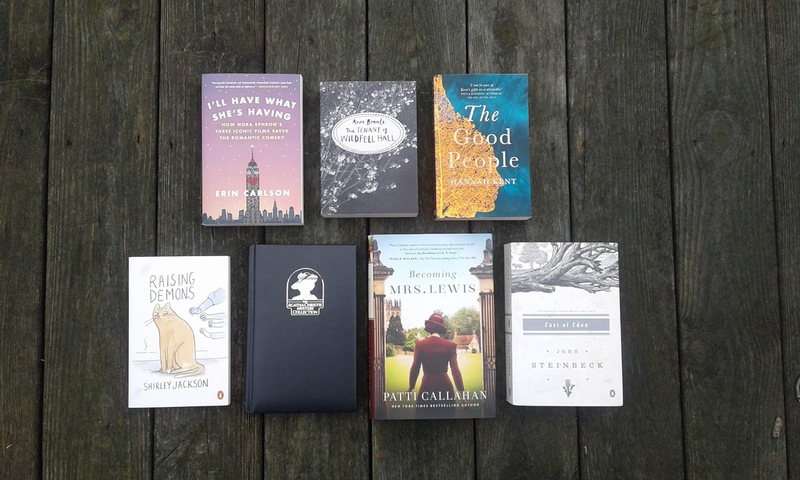 January was an okay reading month. I read a total of 8 books, including 5.5 audiobooks (ha, more on that later). I really liked a few of the things I read, but some of the others were just okay. As always, click on the titles to read my Goodreads reviews. The Two Princesses of Bamarre, by Gail Carson Levine. This a reread, but it's just so good! Ella Enchanted was always my favorite growing up, but I love this one too. There's something so magical and timeless about most of her books. Mary Poppins Opens the Door, by P.L. Travers. (Audiobook.) More of the same as the first two in the series, ha. Looking back it will be very hard to differentiate between the different books in this series! They're all so similar! Overall a quick, pleasant listen on audio. The Adventures of Tom Sawyer, by Mark Twain. (Audiobook, not pictured.) I enjoyed this so much more than I expected to! Several parts actually had me laughing out loud. I had never read it before, but I used to watch the Disney movie Tom and Huck a lot as a kid, so certain aspects were coming back to me as I listened. I liked the whole atmosphere, and I found the kids' superstitions to be hilarious. Black Beauty, by Anna Sewell. (Audiobook.) I've owned a copy of this ever since I was a kid, but for some reason I never read it! I was pleasantly surprised by how much I enjoyed it. It was simple, engaging, and interesting to listen to. 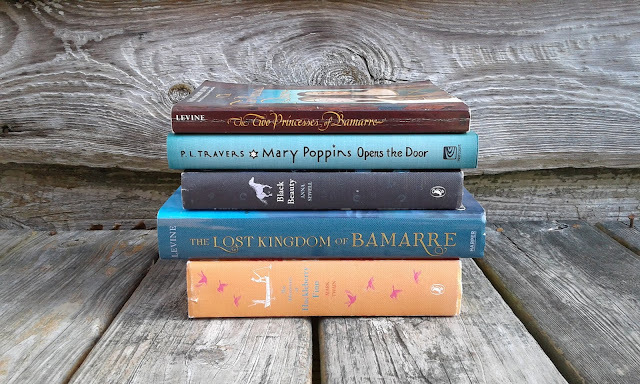 The Lost Kingdom of Bamarre, by Gail Carson Levine. Sadly, this was no Two Princesses of Bamarre! This one felt unnecessarily long. I did enjoy the second half more, but it just seemed like she was trying too hard or something. Echo, by Pam Munoz Ryan. (Audiobook, not pictured.) I'd been wanting to read this one for years now, and it was so, so good! I loved how the main stories were intertwined and how everything came together in the end. I wasn't expecting it to be historical fiction or to be so focused on WWII. It was just really well done! The audiobook was great, too. Mary Poppins in the Park, by P.L. Travers. (Audiobook, not pictured.) Again, more of the same! These stories are from the previous three books, and while some of them were good, it was nothing amazing. The Adventures of Huckleberry Finn, by Mark Twain. I don't know why this one is generally considered to be so much better than Tom Sawyer! I had such a hard time getting through it. Almost halfway through, it was taking me so long that I switched over to audiobook and that was much better. The plot was so random and long and rambling. I liked the beginning and end the best, but I enjoyed Tom Sawyer so much better. I'm a little behind posting this! December was a great reading month. I read 8 books total: five of those were audiobooks and two were rereads. As always, click on the titles to read my Goodreads reviews. The ABC Murders, by Agatha Christie. (Audiobook.) This was one of my favorite Christie's so far! It was so good. I didn't know how I'd feel about her books on audio, but I absolutely loved it. Present Over Perfect, by Shauna Niequist. (Audiobook, not pictured.) This book was okay. It didn't really feel applicable to my life right now! I've always heard of this author, so this is just the first of her books I decided to read, but maybe I should have picked something else. A Christmas Carol, by Charles Dickens. My first time reading this classic! It was surprisingly easy to read and very good. I only read that story in this volume, not all of the other stories. After the Funeral, by Agatha Christie. (Audiobook.) Not the best of hers, but still enjoyable. I was pretty impressed with who the murderer ended up being, ha! The Return of the King, by J.R.R. Tolkien. Finally, after three months, I finished rereading this series! I've been wanting to do that for years now, and it was quite a feat. This is my favorite of the trilogy. I'm not crazy about all the battles at first, but I love how everything is wrapped up. I do find it kind of frustrating that the hobbits don't have a simple homecoming, but at the same time I'm so proud of how they take charge, ha. Now that it's over, I have fond memories of the series...but I won't be rereading it again for a while. Star Over Bethlehem, by Agatha Christie Mallowan. (Audiobook, not pictured.) Probably my least favorite Agatha Christie experience so far! It's just so different from her other works. I liked the Christmas stories best, but only a few of them, and I don't like poetry anyway. 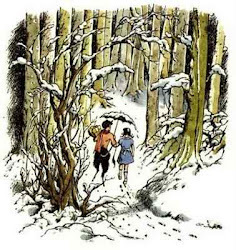 The Lion, the Witch, and the Wardrobe, by C.S. Lewis. Reread this for the thousandth time...approximately. :) Magical as always! The View from Saturday, by E.L. Konigsburg. (Audiobook.) I've owned this book forever and never read it, so finally I just decided to listen to the audiobook. I almost gave up at first because I wasn't really into it. But I'm glad I didn't because I ended up enjoying it. I loved the friendship between the kids and there were some funny moments too. I did okay with my goals for the year. 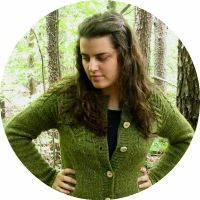 As far as knitting goes, I didn't focus on making sweaters for myself, and I haven't yet knit something from my own sheep's fiber but I did spin enough so far for a project. 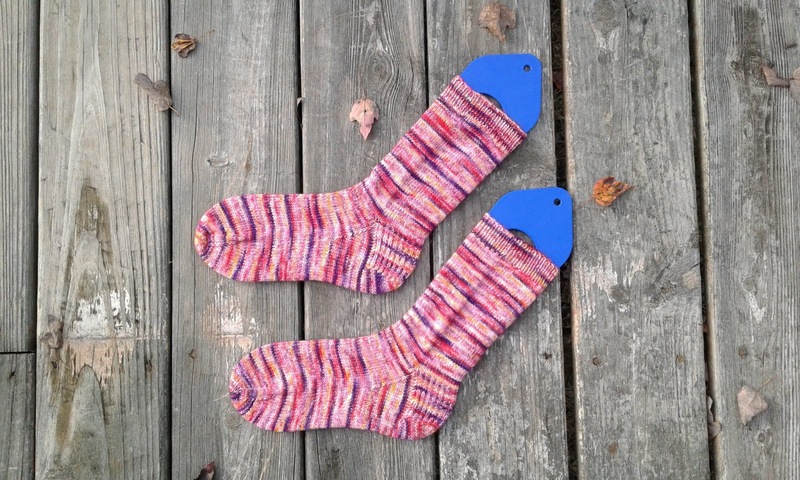 I did knit lots of socks, and not just for myself! 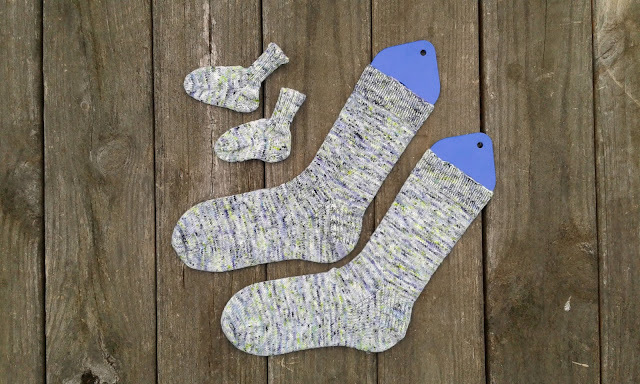 (I also made socks for my mom, grandma, sister-in-law, and unborn future nephew.) I finished 35 knitting projects: 11 gifts, 17 items to sell or commissioned to knit, and 7 for myself. As far as sewing goes, I did sew three pillow covers! And I sewed curtains for three of our five remaining windows...I bought curtains for the other two because it was much less expensive than buying the fabric to sew them. And my miscellaneous goals: I didn't save money because it was tight this year. I did improve my cooking skills, I think, or at least I learned how to cook a lot more things! And I did catch up on all of my Taproot magazines, including back issues. 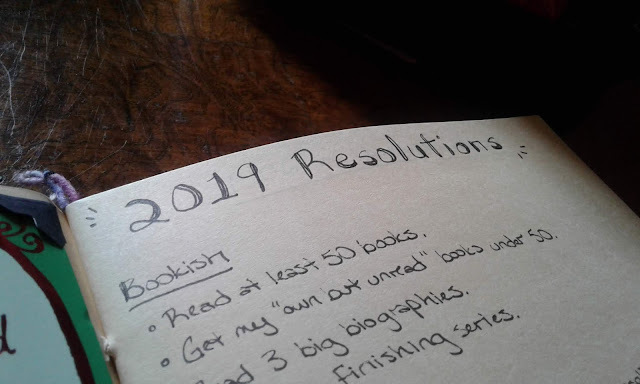 I actually managed to accomplish all of my bookish goals for 2018! I wanted to read 50 books, and I ended up reading 70!! Discovering audiobooks in the last few years of the year definitely helped...I think I listened to about fifteen of them. I also wanted to get my list of books that I own but haven't read yet below 100, and that number is currently 86. The lowest it's been in years, though ideally I'd like it to be about 10 or so. I wanted to read five new-to-me classics. 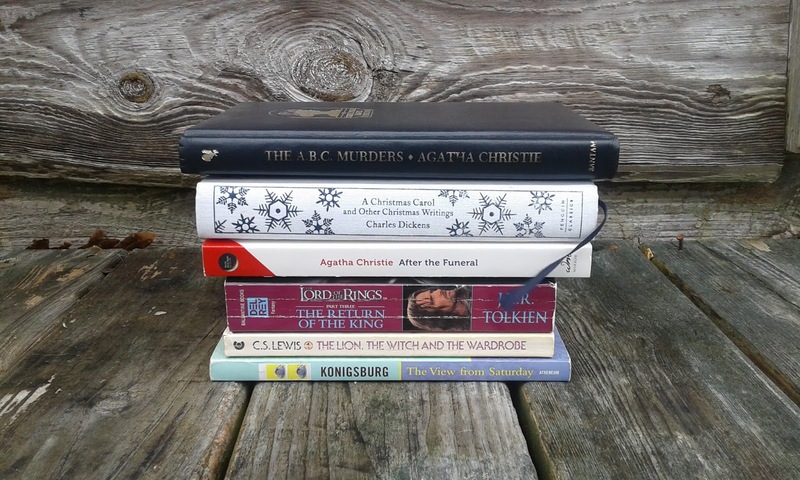 I read The Tenant of Wildfell Hall, The Diary of a Young Girl, Out of Africa, East of Eden, and A Christmas Carol. I also wanted to reread five books, since I didn't do much rereading last year, and I reread 15 this year. And finally, I planned to read a big book. I finally tackled East of Eden, which is 601 pages long. -Read at least 50 books. This one should be easy enough to accomplish! -Get my own-but-unread books below 50. That number is at 86 right now, so I think that's doable. -Read 3 big biographies. I collect memoirs and biographies by people that I'm interested in, but I rarely read them because they're so big and intimidating! This year though, hopefully. -Focus on finishing series. There are lots of series, particularly middle grade ones, that I've read most of but haven't finished the last book or two. Some of them I'll actually need to reread the beginning of the series, so I've been putting them off. I'd like to finish the Percy Jackson series, the Penderwicks, Mary Poppins, etc. 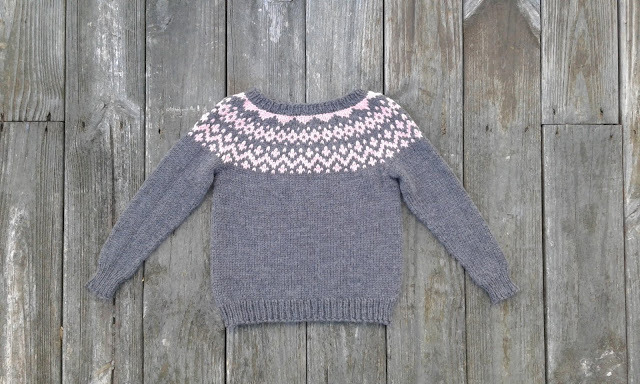 -Knit at least two sweaters for myself. 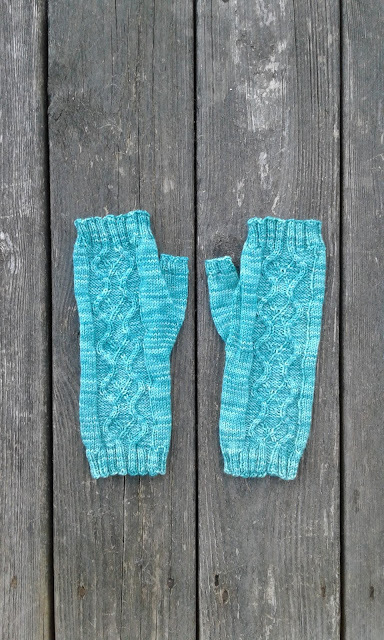 I have the yarn and patterns for three, but I'm trying to be realistic here! 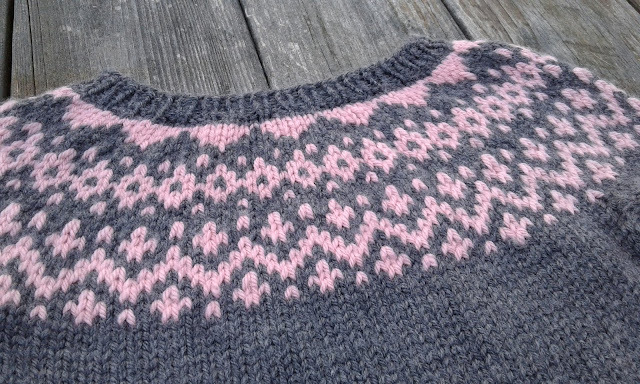 -Try weaving again. A friend gave me a child's loom that I'd like to try. -Mend and generally take better care of my clothing. I hate mending! Right now I have multiple knitted socks that need darning, our summer bed blanket that needs patching, jeans that need mending, etc. I also want to de-pill my sweaters and polish up my leather items. -Get back into garment sewing. I've really slacked on this in the last few years. 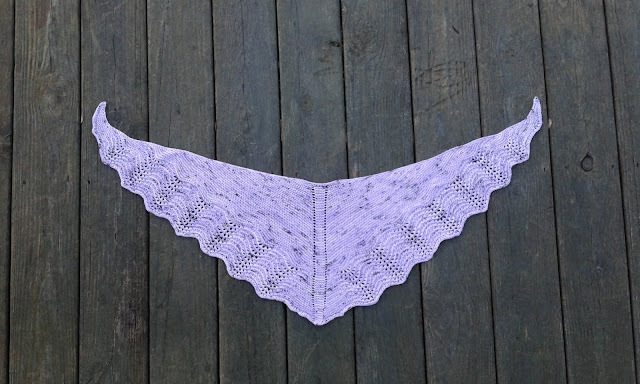 I want to get back to the point where most of my clothes are handmade. -Sort through my closet using the Slow Fashion October prompts. -Make a small quilt for my future nephew. My brother and sister-in-law are expecting their second child, a little boy, in April! I want to make a play quilt for him similar to the one I made my niece before she was born. -Save money. Always a goal! -Clean out and reorganize the closets in our house and minimize our stuff. -Switch to more natural cleaners and products for our home. -Continue exercising. I bought two Jessica Smith workout DVDs and have been trying to exercise 4 or 5 days a week ever since September. I've even gotten to the point where I sometimes enjoy it! I haven't really lost any weight but I have lost a few inches, and I feel better and stronger. So I want to keep it up!